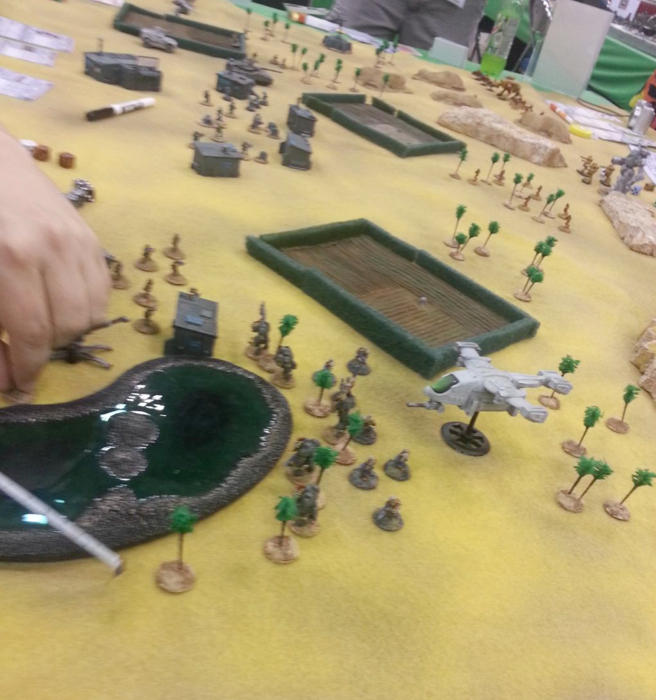 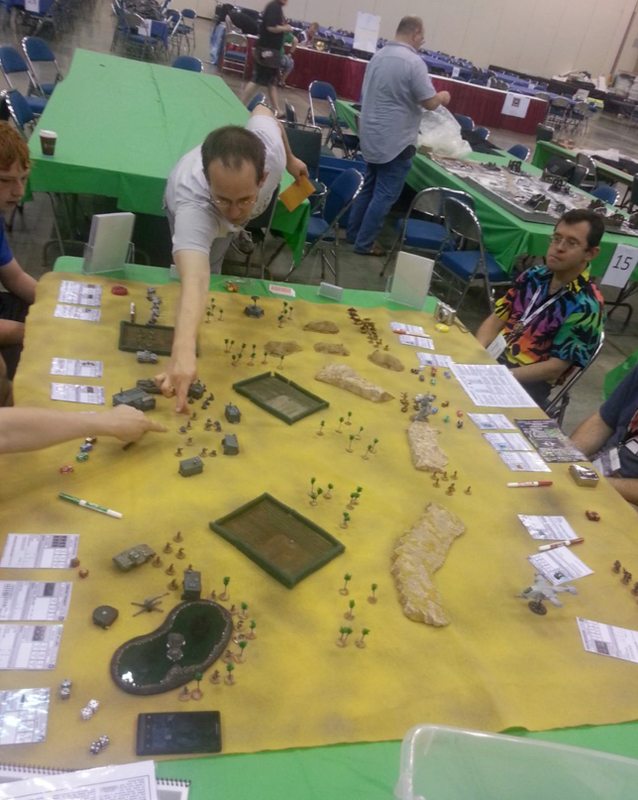 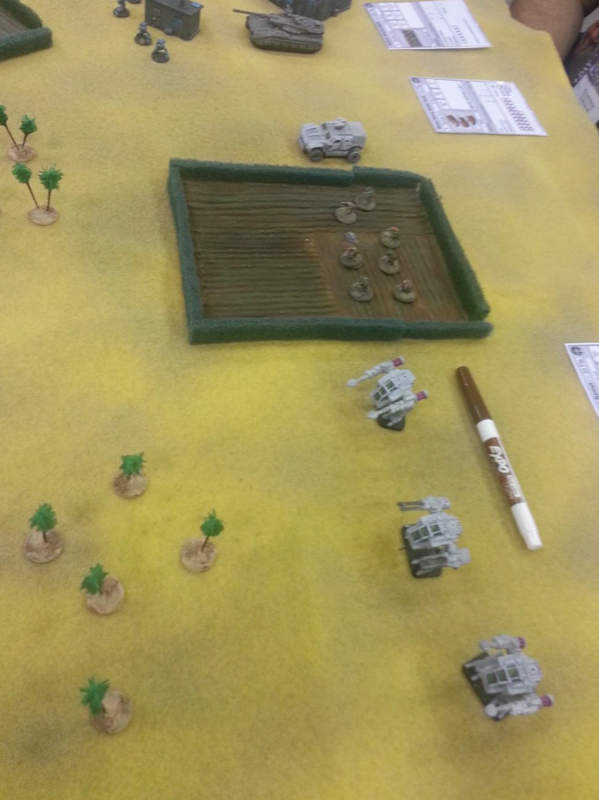 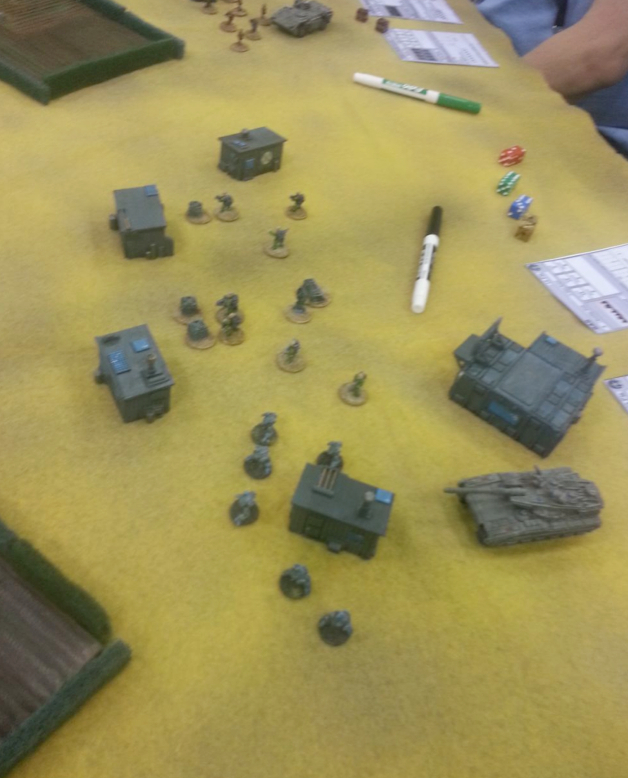 Gruntz is over at Gencon this week and live photo updates of the games in progress are being shared by Aaron from his twitter account. It looks like a fun game with miniatures from Rebel Mini's and Critical Mass games in use on the table. I have dropped in a few photos from the game below.